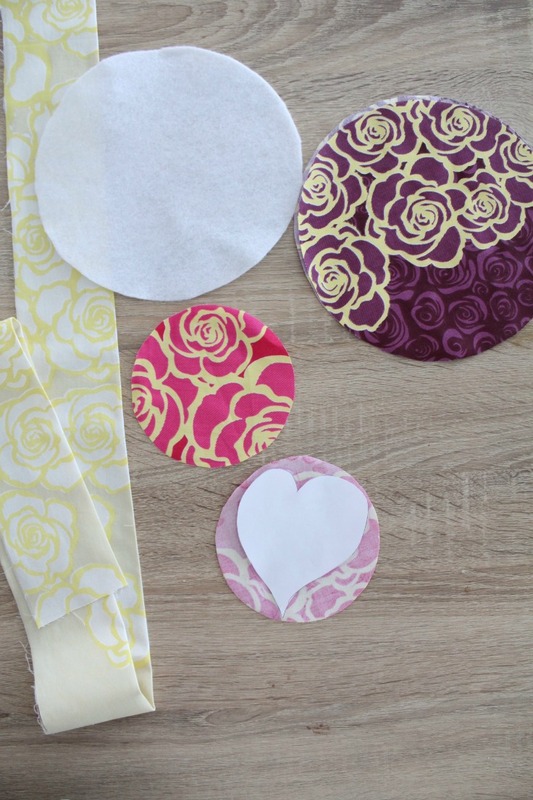 Templates for circle and hearts, downloadable here. 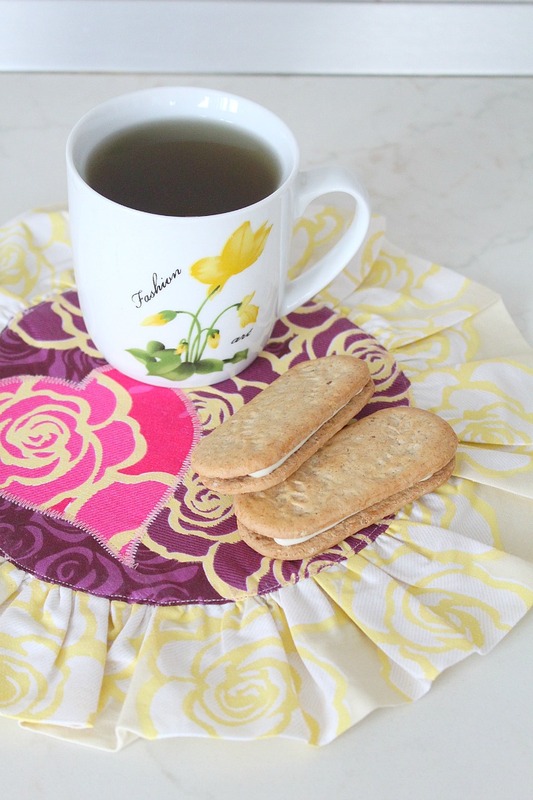 Using the templates cut 3 circles from your main fabric, baking and batting. Trace the hearts into your Heat’n Bond. 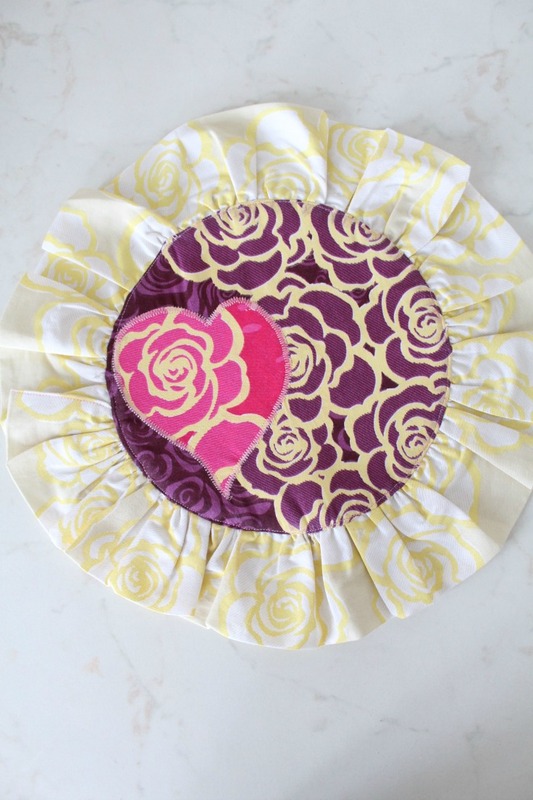 Take the front fabric and arrange the heart where you want it to sit and iron on. 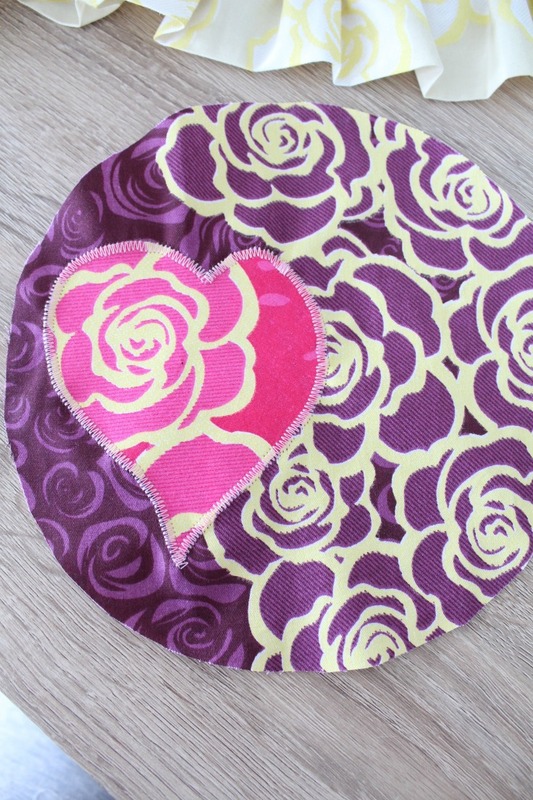 Do the same for the backing fabric and the second heart. 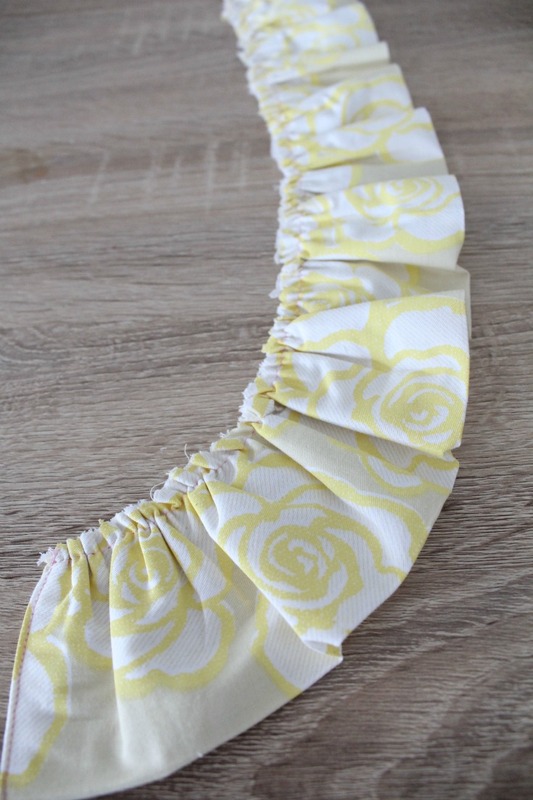 Make the ruffle: fold the fabric strip in half, iron then turn the ends in and sew. 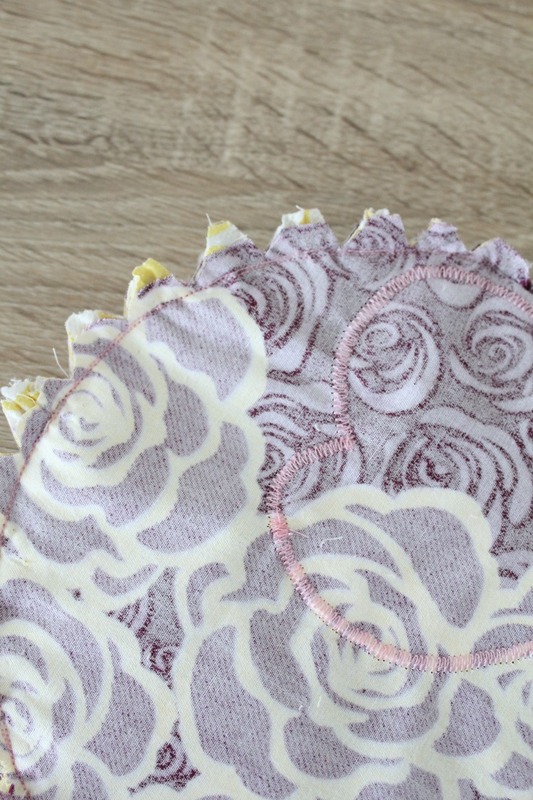 Gather along the raw edge of the fabric with your machine or by hand, so the resulted ruffled strip would fit all the way around the circles. 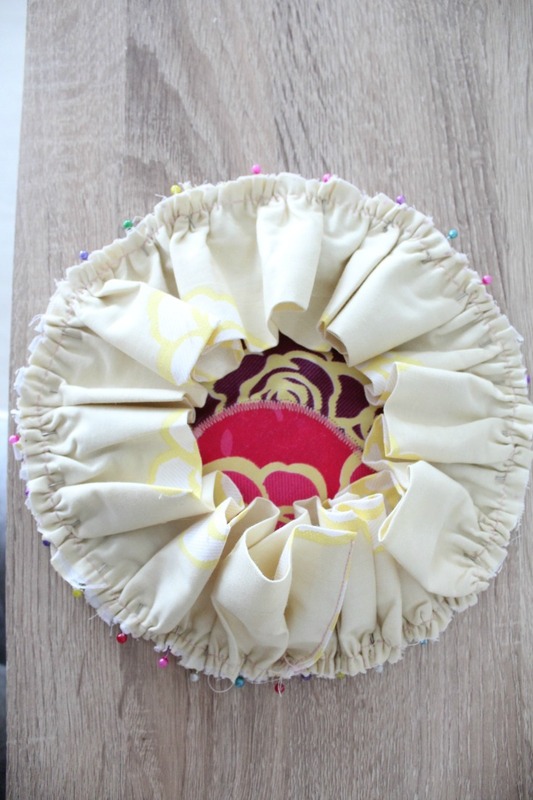 Place ruffle and front fabric right sides together, pin and sew. 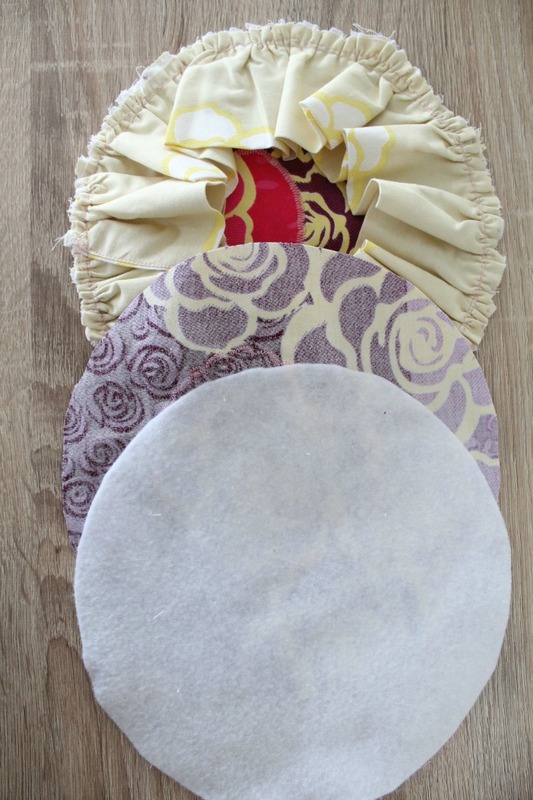 Arrange the circle fabric this way: front fabric right side up, backing fabric wrong side out, batting. 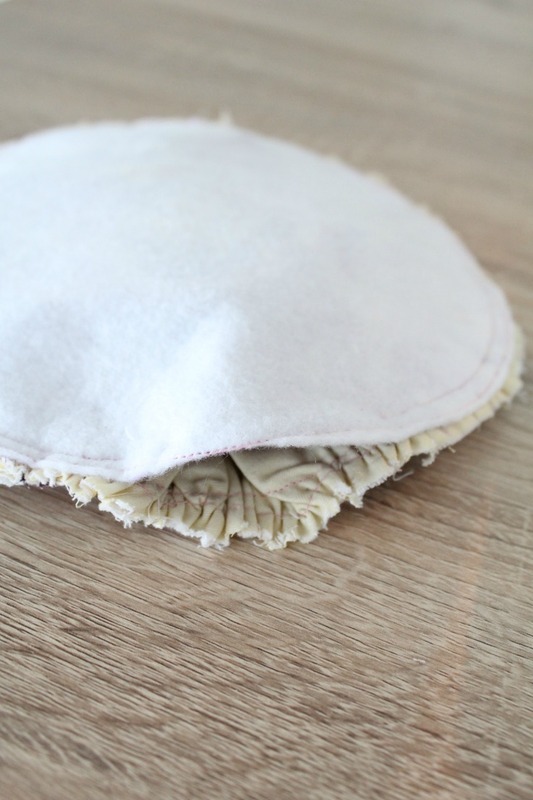 Pin in place and stitch all the way around, leaving a 2″ opening to turn the mug rug inside out. 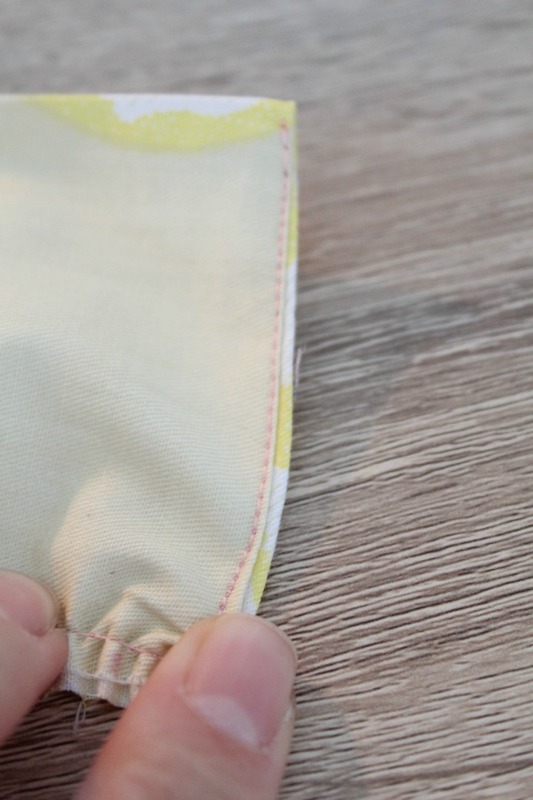 Make some notches around the seam, making sure you don’t clip through the seam. Or use pinking sheers. 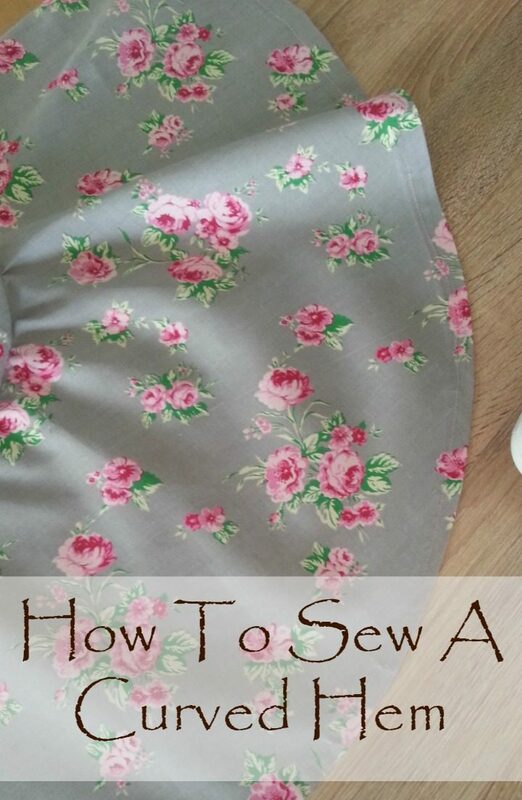 Turn right side out, press seams, sew the opening close and do a topstitch all around the mug rug. Give it a good press and you’re done! So pretty with the ruffle around the edge.